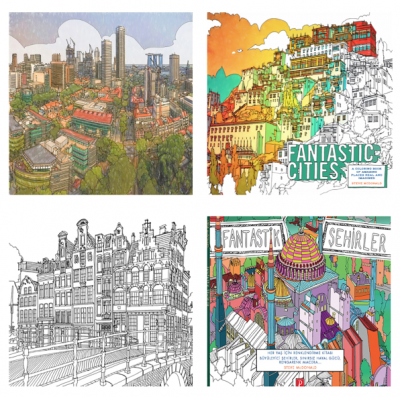 It was in 2014, when Steve created the coloring book “Fantastic Cities” that everything changed. Having seen his project, many publishers fought to sign a contract with him. It was finally Chronicle Books who had the chance to do it. Steve was far to imagine that his book would be so successful ! This allowed him to rise, and sold over half a million copies while he was expecting only a few thousand. 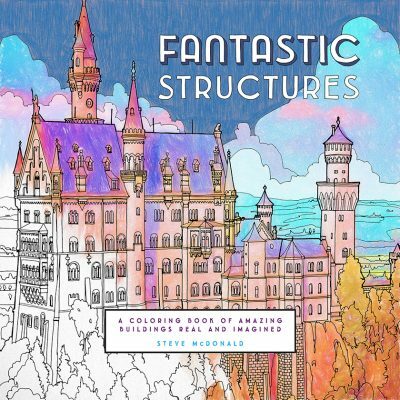 Fantastic Cities has 48 pages of actual and imagined aerial views, these drawings are very detailed and offer hours of coloring for a single page of them. You can go from San Francisco to Hong Kong through Moscow. 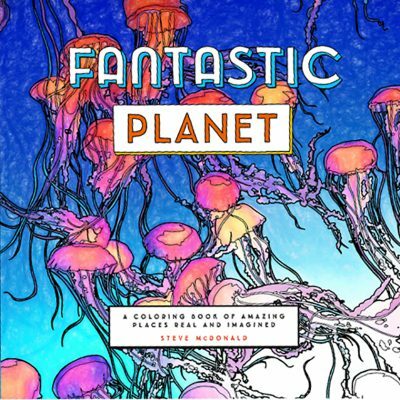 Fantastic Planet : A 60-page coloring book highlighting fauna and flora. We find desert landscapes, jungle, forest, majestic trees, many animals, flower fields and many more. 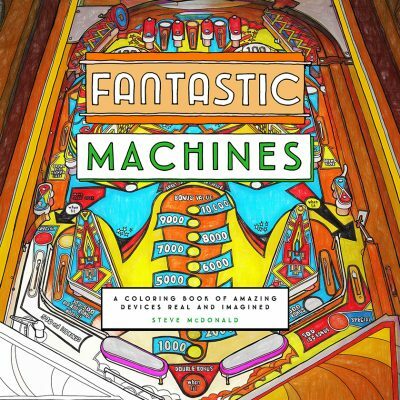 Fantastic Machines : It celebrates the beauty of the machines and devices of this world. If you like pinball machines, space stations, motorcycles, circuits .. this is the book you need. 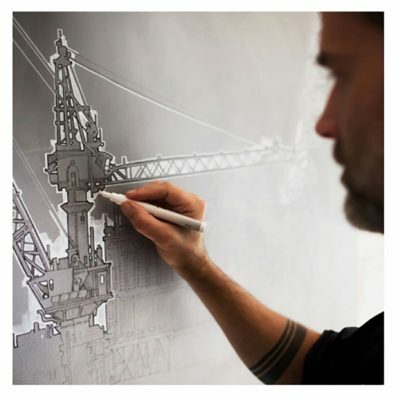 Fantastic collections : Steve uses his sense of detail to draw collections of impressive objects inspired by unusual things and everyday life. 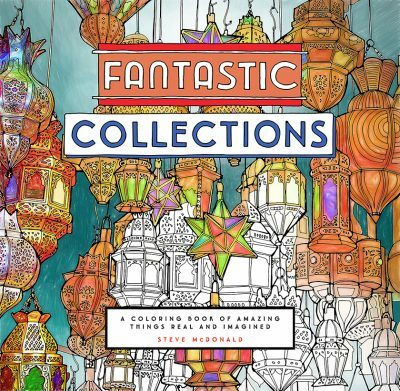 There are for example collections of butterflies, cameras, antiques ..
Steve shares his passion for travel and exploration through his coloring pages. It shows us that the world contains many landscapes, objects, monuments or plants that deserve to be highlighted. If you want to see more about Steve McDonald you can visit his website, or his Facebook page . All his books are on sale on Amazon and on the website of his publisher Chronicle books. Some of his great coloring pages are online on our website in his artist page.